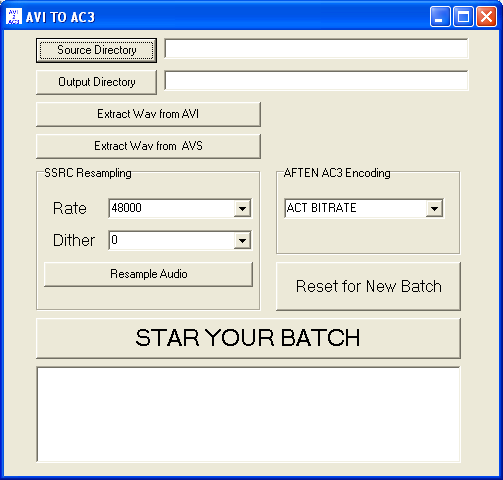 AVI to AC3 takes the audio from avi and avs files and converts them to dvd ready AC3 audio. Requires AviSynth to work. Improved single file encoding with fewer steps. Eliminated temporary wav files. Now I'm piping output from wavi directly to aften.